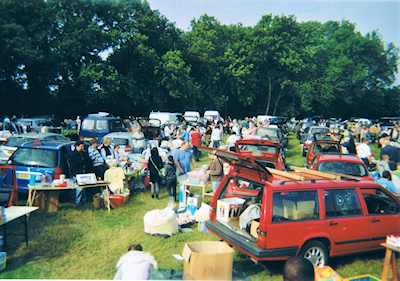 Horsham | Sellers - horsham car boot sale - Pick up a Bargain. A Great Deal for sellers! then come join the fun. We have excellent toilet facilities, great food and best of all you can reserve your pitch. If you want to get a good site you'll need to arrive early - check our opening times for sellers at the top of this page, remember the best sites go very early. To sell successfully you need to offer people things they will want to buy at a price they are willing to pay - that's the easy bit!! To attract buyers set your stall out in an appealing way - clean working items in good condition sell much better than dirty, broken or poorly presented items. Ask yourself "Would I buy it?" if the answer is "No"
then CLEAN IT, MEND IT or BIN IT! Presentation of your stall is important. A clean tablecloth with items neatly arranged creates a good impression and attracts buyers. It can be a fun morning with the added bonus of making some money. 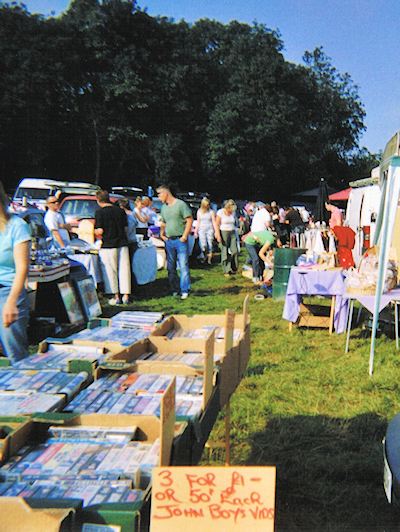 You'll find that folk are friendly and wander round chatting to stall holders. As we're in the beautiful Sussex countryside you'll find your visit to our sale very pleasant! 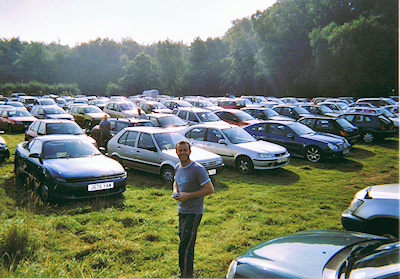 When you arrive at your pitch and are surrounded by eager buyers, get out of your car, lock it up, and tell them that you are going to have a look around and get a cup of tea before you unpack. Even if you only walk away for a few minutes it should be enough for their attention to wander onto other arrivals.